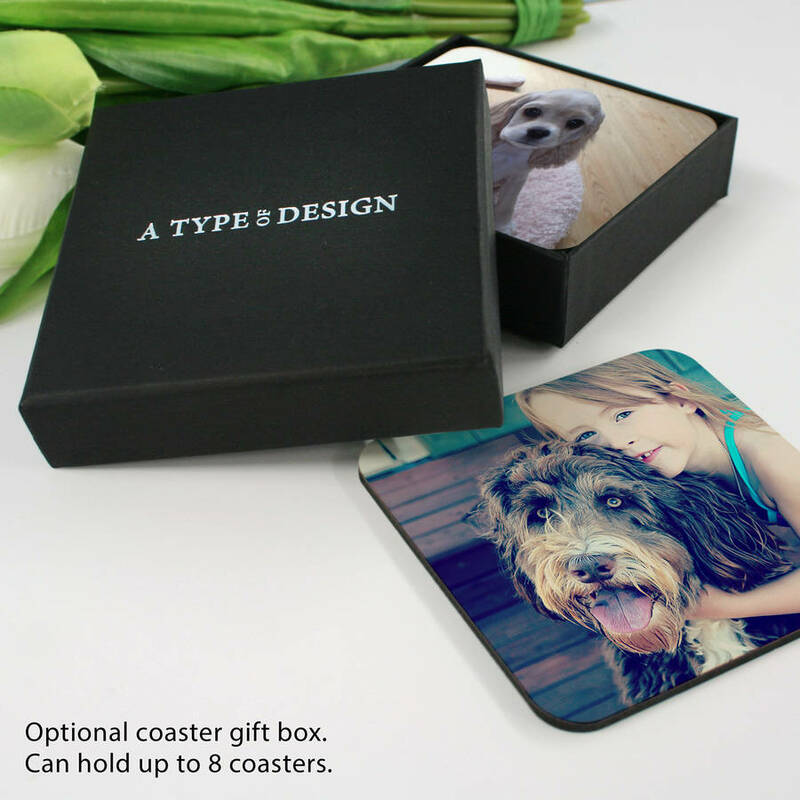 Make the special pets in your life the star of the show with these lovely, personalised pet coasters. 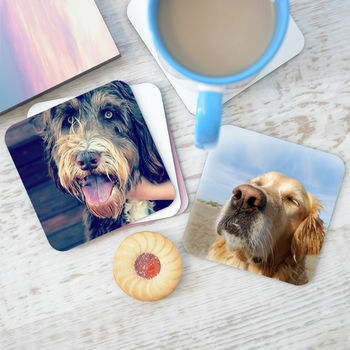 Bring your favourite pet photos alive and brighten up your coffee table with your very own personalised pet photo coasters. You don't need to stick with only pet photos, you are welcome to send us any photos - your favourite pictures from your wedding day, from a special holiday shared with loved ones, your family & children's most magical moments... any pictures or snap shots that are special and meaningful to you! If you are a business and would like them with a company logo rather than pictures please provide your logo. 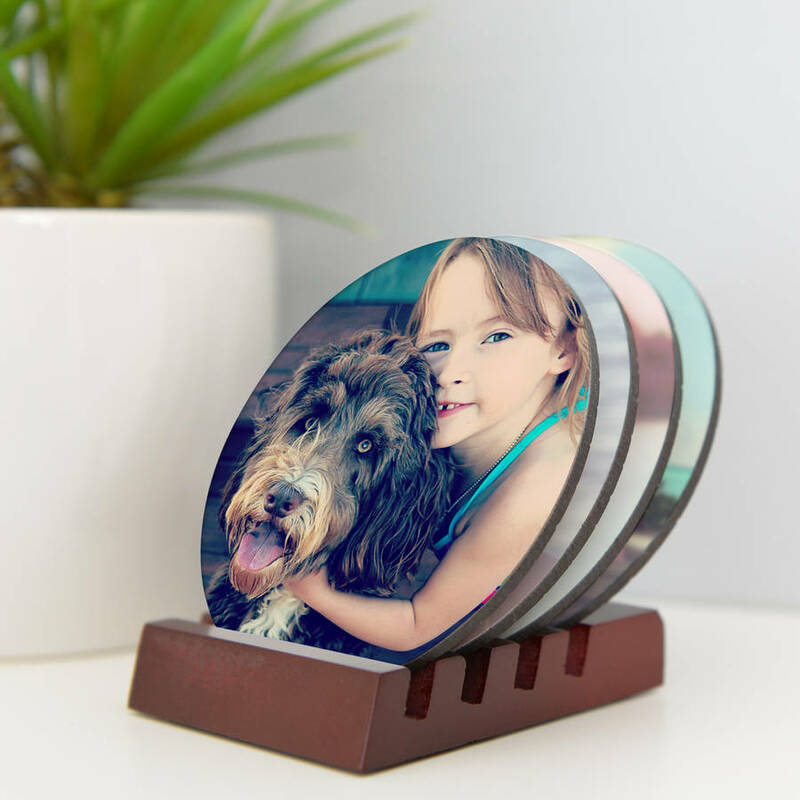 You can choose to have one picture printed on all the coasters, or different pictures printed on each coaster in the set. 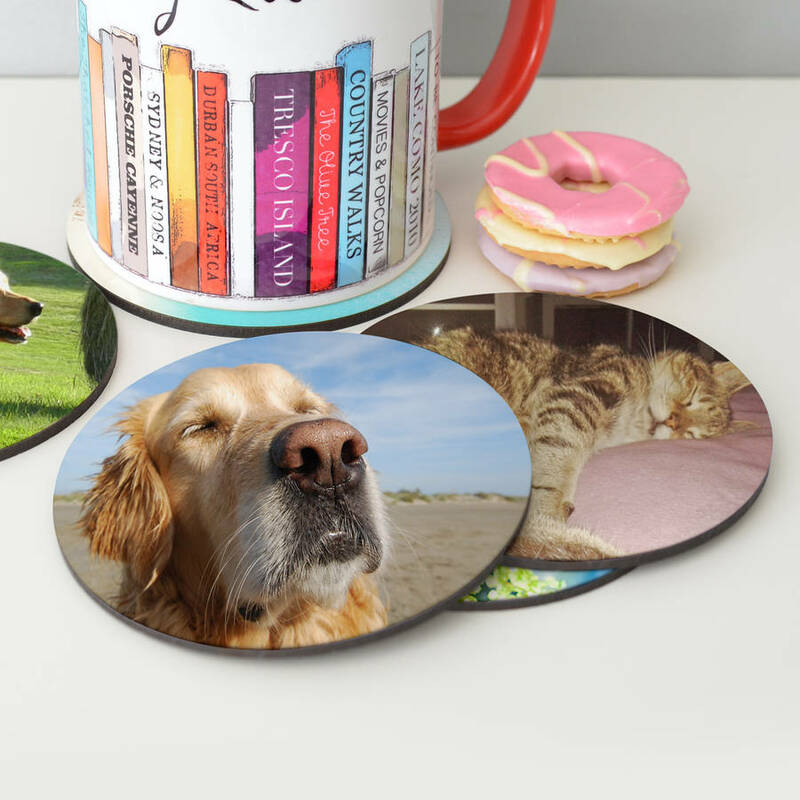 The coasters come as a standard set of 4. 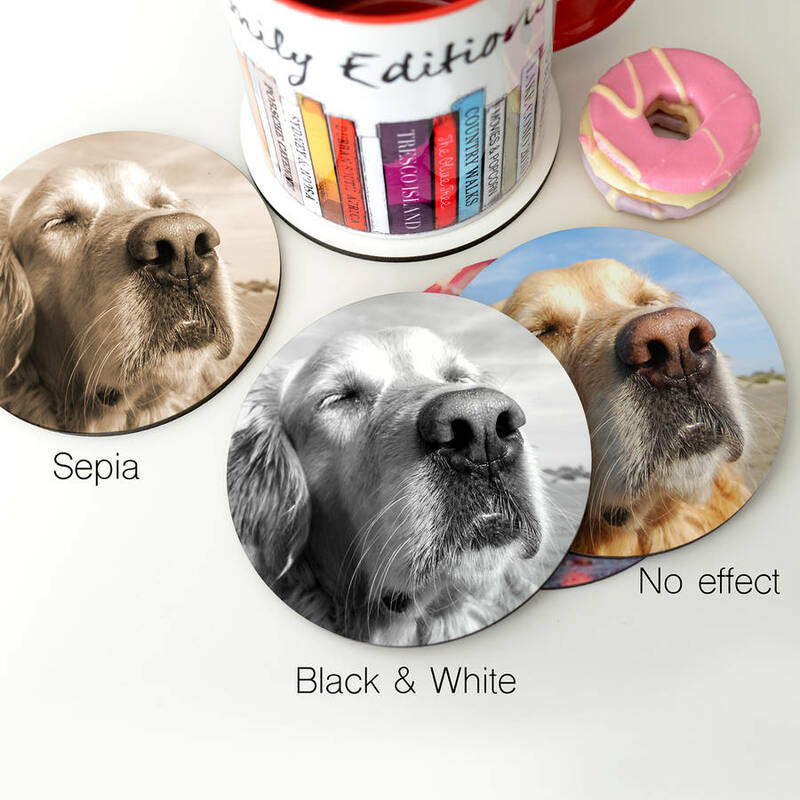 You can choose to have one picture printed on all 4 coasters, or 4 different pictures on each, the choice is completely yours. If you require 6 or 8 coasters, these can be selected from the drop down menus. 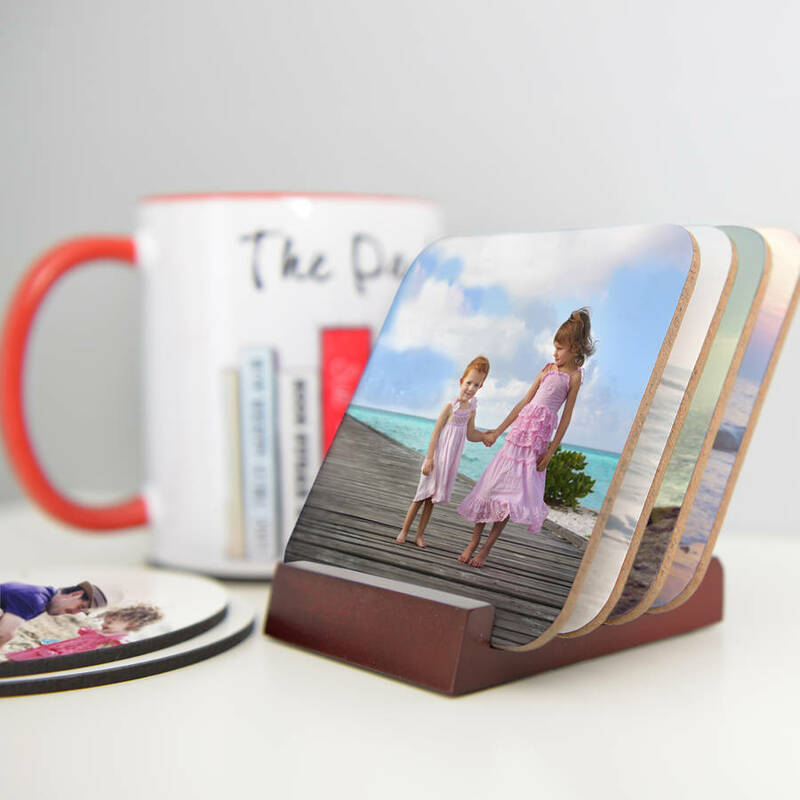 Once you have placed your order we will contact you to request your images, please provide these promptly to avoid a delay in your coasters being delivered. Please ensure that the images that you provide are of good quality for printing. If you are unsure, please send them to us and we can advise you accordingly. 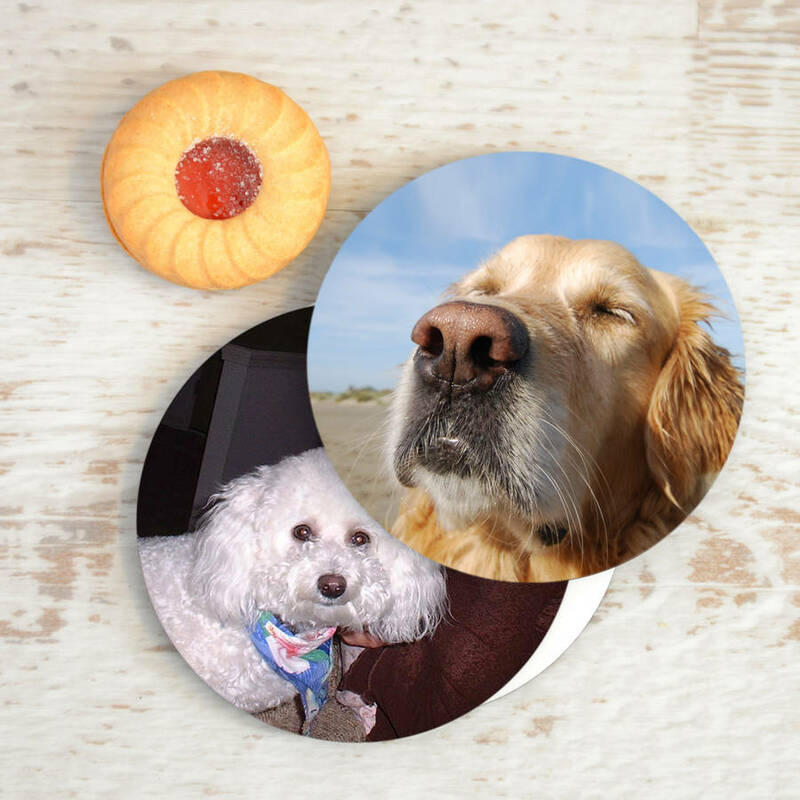 Images that are not square will be cropped to fit the coaster (keeping the main elements of the photograph). approx 90mm x 90mm x 3mm each. Please make sure that you have (C) copyright for the images supplied.